It's SE Asia week at LTH. We all know Bangkok is one of the worlds great food destinations and an all around world class city. There's an insane amount of information out there as far as where to go and what to eat. But you'd need a lifetime to conquer it. Most of us know of Mark Wiens aka Migrationology who is one of YouTube's best travel guides. Bangkok is his homebase. He was a fantastic resource and so was the Streetside Bangkok website. That said the city is so big and the weather is so hot and traffic so bad that you wont be able to conquer as much as you hope. But it's still a must visit in my book. As electric as it gets and when I say everything I ate was great I mean it. Impossible to pick favorites. Click HERE for the full report. ^ The dish you see above is what the street food in my dreams looks like. Triggered by none other than the dish itself when I saw it at Migrationology. 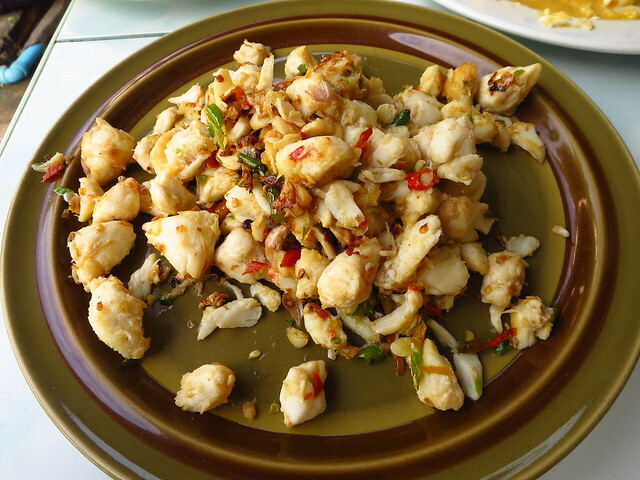 It's literally just chunks of sweet crab meat stir fried with fiery Thai chiles. We asked for mild and it was still hot enough to where if it wasn't succulent crab meat I may not have ate the entire plate due to the heat the dish was releasing in me. Despite an hour wait for food (it's popular and small) this was a truly authentic Bangkok experience. I would go again (and wait) in a heartbeat. The other stuff was great too. ^ Simply put the best stir fried noodles I've ever had anywhere. Thailand's version of 'Char Kuay Teow' is called Kuay Teow and 'Kua Gai' alley in Chinatown is where you'll find lots of vendors making this dish. Once you arrive you will hear the sizzle of the noodles. That's what you're here for. You can watch as the vendors pour generous cups of lard into extremely hot and smokey woks. Then in go the wide rice noodles (sen yai) - the same noodles used to make Pad See Ew. Also included is pork or chicken and rings of squid. It all sits there getting nice and crisp before the final step is applied. An egg is cracked and dropped onto the noodles which it coats with a crisp golden color. Go to the busiest stall and get two bowls. Godly. 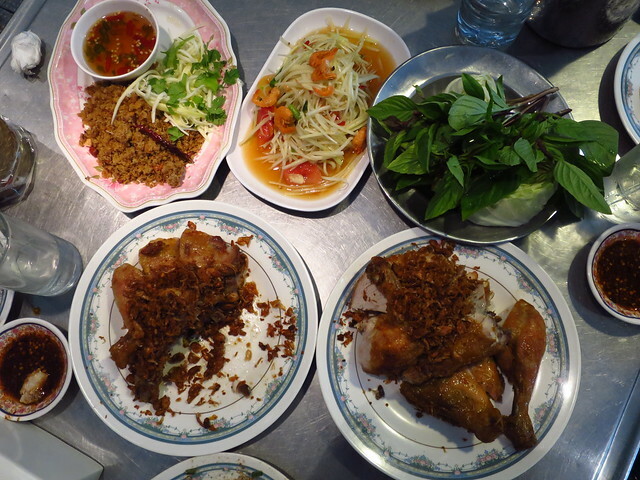 ^ Go here to feast on regionally famous Isaan style fried chicken that is out of this world good. Yet even better with the amazing dipping sauce. The chicken comes served covered in fried garlic chips and when it's all combined with sticky rice and spicy papaya salad it's truly a treat. Polo Fried Chicken gets it's name from the fact the Bangkok polo grounds are near. Also close is Lumphini Park which is one of the city's best oasis's away from the chaos. If you plan to visit the park make sure you plan to visit Polo Chicken. ^ One of Bangkok's most symbolic dishes is Boat Noodles. So when you come to Bangkok you got to try a bowl. Except you'll probably have more than one bowl bc the portions are small and cheap (50 cent US). Reason being is this dish gets its name from the fact the noodles used to be served from boats along the canals. They wouldn't fill the bowls up bc the moving waters would cause for spills if filled to high. You'll find an entire unit of vendors serving this dish around the corner from Victory Monument. Many say these bowls from this spot are the best due to the deep red color in the broth. That's from the blood. I ate 5 (beef / pork) bowls to myself. Not even close to a record. 20 gets you a free Coke elsewhere. ^ Another Mark Wiens gem. There's two dishes you're here for. This is real deal street food. It may turn some off. Stuff like the washing of the dishes on the ground (in soap bowls) may be gross to some. But its common and I didn't get sick once this trip. The chef here was smoking a cigarette while making the food but so what. It was so good. The bowl of tom tum soup you see below was different from the others bc as Mark Wiens points out they use a ton of tomalley. That's the yellow stuff you sometimes find on shrimps and other crustaceans. Also make sure to indulge in a plate of fried garlic prawns. You may have a new death row meal when done. Then there was Chiang Mai. An oasis from the concrete jungle of Bangkok. As many will tell you they prefer Chiang Mai due to it's cooler weather, scenic location, and the spicy Northern Thai food. I really appreciated this city especially after Bangkok which I also loved. But this place felt more like a vacation. The temples were jaw dropping especially the ones overseeing the city. Chiang Mai was a place I could retire to. I cant say enough good things. Which would start with the food. Some of my favorites below. Click HERE for full report. 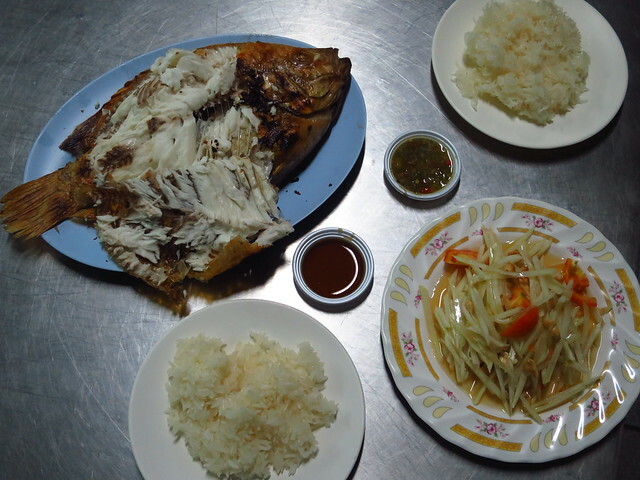 ^ As you enter this local-style eatery you pass your dinner - whole tilapia fish, grilled over flaming hot coals and served with the most amazing condiment I think I've ever had the pleasure of tasting. It's a green chile Isaan-style dipping sauce and it makes that smokey flaky fish meat turn into something magical. Eat this with sticky rice and a spicy papaya salad. One of the best meals of the trip. 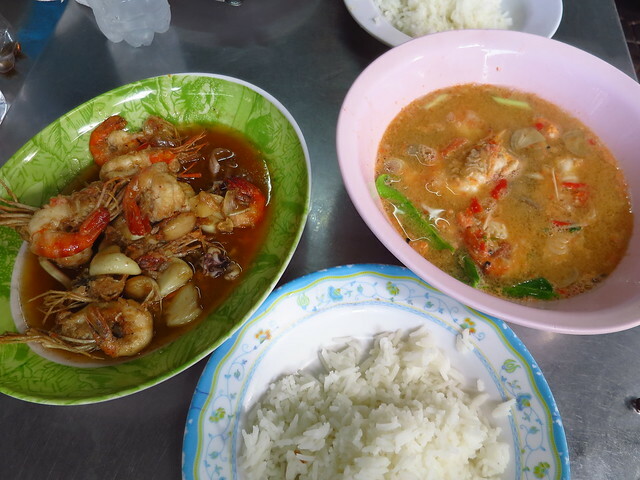 Sensational Northeastern Thai cooking. ^ I wanted to make sure we ate some Burmese food while in Chiang Mai. Why? Bc the city is the center of Thailand's Burmese migration population which is the country's largest migrant population. Chiang Mai even has a Burmese Quarter which is where Hearn Kham is located. This spot came heavily rec'd from Portland Chef Andy Ricker who spends lots of time in Chiang Mai. I somehow only looked at the salad options when some of the home cooked Burmese food is also supposed to be great. 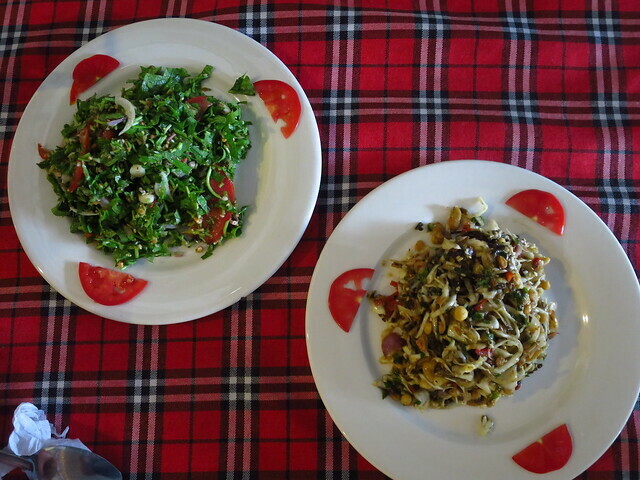 Nonetheless these salads were memorable. We got a deliciously tart Pennywort Salad and also the must get item when eating Burmese food - tea leaf salad. Hearn Kham is a must in my guide book. ^ Want to indulge in one of the best breakfasts on the planet? Go find this place. Koay Chup Restaurant might not even be it's name but that's how you'll find it on google maps. As the name suggests this spot serves Koay Chup and it looked great. 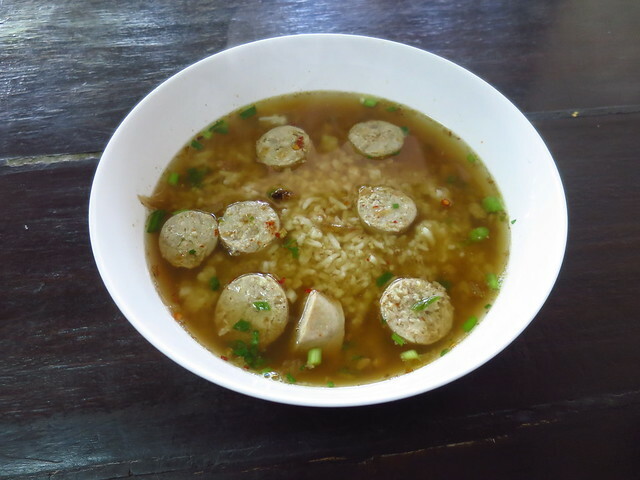 But I read about the Khao Tom rice soup and had to go have that. I love rice for breakfast and I love soup for breakfast too. Together? YES! According to what I read the owner makes her own moo yat sai which is a delicious pork sausage unlike any other in Thailand. They mention it on the menu. Order it in the soup by asking for Khao-tom moo yat sai and get ready to moan from the deliciousness. 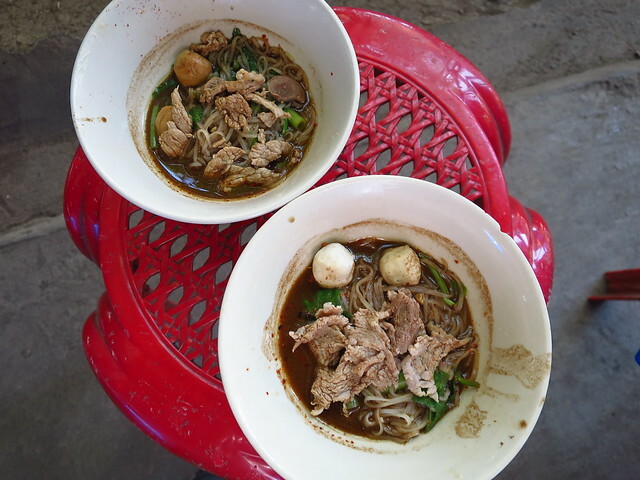 ^ This spot gets commonly mentioned when the topic of best bowl of Khao Soi in Chiang Mai is discussed. Khao Soi Khun Yai is located between two temples and it’s tucked down a driveway if you dont see it at first. 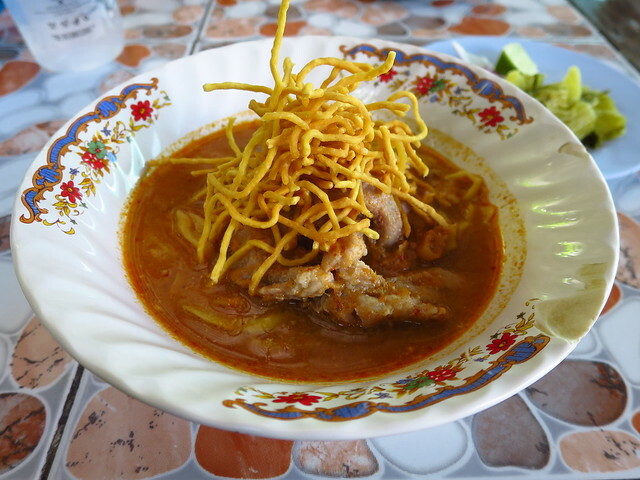 Khao Soi is the signature dish of Chiang Mai. Its background is both Burmese and Indian, but over the years it's turned distinctly Thai. Creamy coconut milk is mixed with yellow and red curry spices and served over egg noodles. Beef or Chicken are the most common meats used. 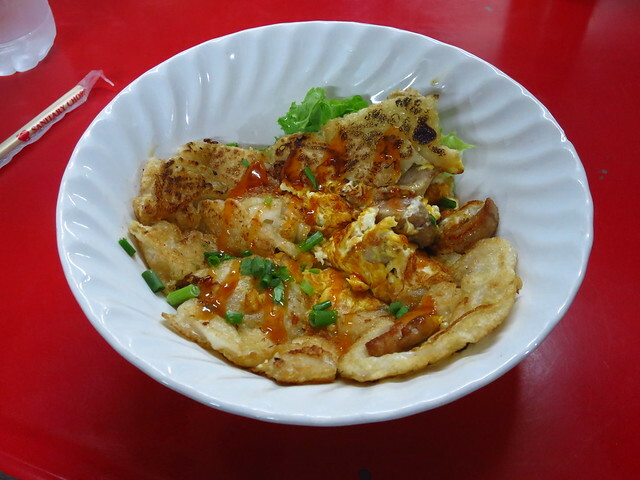 What makes it as pretty as it is delicious is the deep-fried crispy egg noodles served on top. On the side is some cilantro and pickled greens, raw onion, and lime. As crave-worthy a dish as you'll come across. 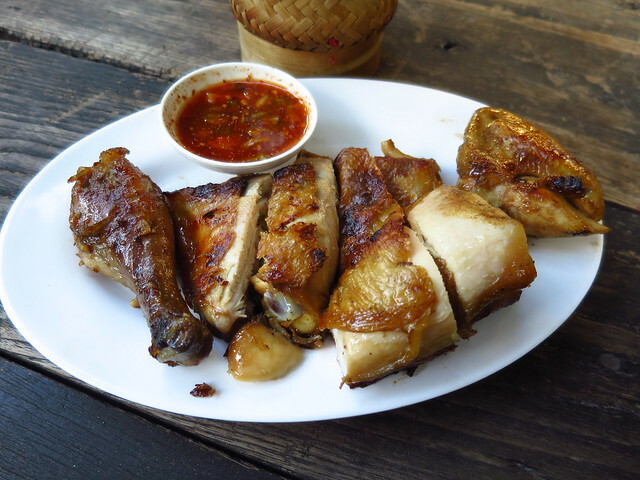 ^ I didn't realize how good the Thai people were with grilled bird. As good as the Jamaicans as a matter of fact, and just like Boston Bay is the center of Jerk, Chiang Mai is ground zero for Gai Yang. I went to the other two popular spots for grilled chicken too and both were good but this place I just happened to pass by might've been the best. It was perfect. I assume they rub some honey on the skin as it's in the name and the chicken itself had a little bit of a sparkle to it. When Thai grilled chicken, with it's addictive dipping sauce, is paired with spicy papaya salad, and sticky rice, it's death row meal material. Aw man, this is the trip I'm saving my frequent flier miles for. I'm not going to Asia in coach, but when I reach enough for two to travel biz class, I'm gone. JoelF wrote: Aw man, this is the trip I'm saving my frequent flier miles for. I'm not going to Asia in coach, but when I reach enough for two to travel biz class, I'm gone. Eva Air started new service from ORD Chicago last November 2017. No need to book Business Class....book Premium Economy with fares from $1200 to $1600 depending on time of year. Seats are wider with more knee room (does not recline to a bed type), non-canceling headsets, food upgrade, private cabin from economy, toiletry kit, priority boarding, larger overhead compartment, maybe get on the Hello Kitty plane. Transfer at Taoyuan (Taipei) airport to Bangkok. If you fly often, you can get upgraded to silver class and above and get access into the lounge. Also if you book a multi-city ticket for a stay in Taipei for a few days or more...it's about $150 extra to the ticket airfare. Then you can eat all you want in Thailand and not worry about your expanded tummy. Future post for foods in Bangkok, Thailand? As a resident of Chicago (during Bangkok's hot and rainy season) and Bangkok (during Chicago's harsh winters), I plan to post a sampling of the topics that I listed above. This posting is targeted at the end of this year.